In the fast-paced and ever-changing world of Information Security, the ability to meet with the right people at the right time is vital in nurturing meaningful, mutually beneficial partnerships. T.E.N.’s ISE® Private Dinners provide your team with an exclusive environment. Tailored to align with your products and business objectives, T.E.N.’s ISE® Private Dinners provide a relaxed and intimate atmosphere where your sales team engages in relationship building opportunities and meaningful dialogue about top security issues among some of North America’s most elite Information Security Executives® and key decision makers. T.E.N. 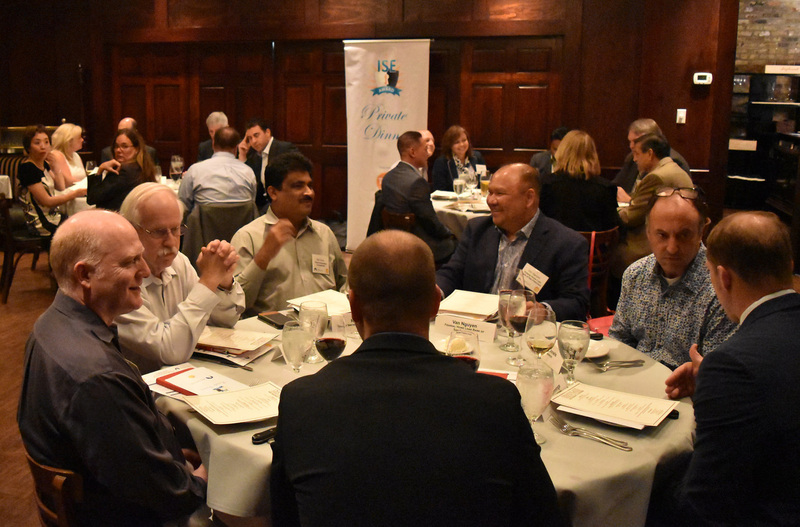 will work with you every step of the way—before, during, and after the event—to achieve the ultimate ideal ISE® Private Dinner experience and help you initiate vital, long-term connections with Information Security Executives® across the nation. Create a discussion theme and abstract that corresponds with your business objectives. Recommend and recruit an InfoSec Executive from our ISE® Community to host the evening’s discussions who lends their name, title, company, and knowledge to the overall success of the event. Understand your target customers to build a custom prospect profile algorithm, which includes key demographic information on company size, geographic location, industry, title (level), and a “Top 50” list of named accounts in that location. Deliver personalized e-mail invitations on your behalf to a tailored guest list of executive decision makers and influencers from your targeted companies. Follow up with guests to track RSVPs and reconfirmations and provide a weekly registration report to ensure maximum attendance that aligns with your custom prospect profile. Manage a dedicated landing page on T.E.N.’s website, www.ten.inc.com with links and promotions from event calendars, outreach and social media campaigns. Create a dedicated 24/7 online registration center for the event with calendaring functionality. Promote your ISE® Private Dinner through T.E.N.’s social media channels, which reaches over 12,000 security professionals. Present between one to three restaurants per event city that includes estimates of room rental fee as well required food & beverage minimums. Facilitate 30-minute bi-weekly status calls to ensure your event’s development and progress aligns with your marketing objectives. Provide profile backgrounds on each executive attendee prior to the event to ensure maximum preparation and networking opportunities. Coordinate all logistics for the event, including: Pre-event production and planning, material creation of the event, securing the event location, on-site program management, and post-event follow ups. Co-design a seating chart that optimizes networking and strategic seating opportunities for your sales team. Create on-site program brochures that include your company information, a call to action for additional information sharing and the evening’s agenda. Create and deliver a post-event survey and provide a summary of the survey results. Deliver personalized post-event e-mail thank you notes to all attendees. Deliver corresponding post-event e-mails to registrants who did not attend. Provide a post-event contact list in a Microsoft Excel file for easy import into your CRM system. For a series of five or more dinners with the same theme, T.E.N. will provide a detailed post-event analysis of dinner outcomes, including breakdown of attendees, targets met, information requested and overall response to each campaign. Report proves to be extremely useful in measuring tangible results and return on investment. 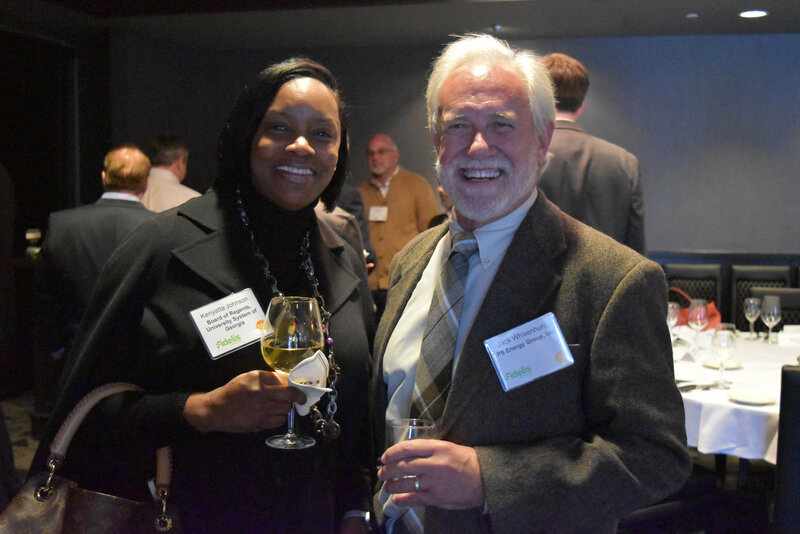 T.E.N.’s ISE® Programs and ISE® Private Dinners build communities for Security Executives both at the local and regional level. These communities’foster information and idea sharing, while recognizing significant achievements by teams and individual InfoSec leaders. These programs enable participating members of the vendor community to become active and respected members of these communities by fostering better channels for communications and establishing trust. The T.E.N. team works hard to provide sponsors of these smaller events with topics, speaking points, and guides to help our hosts and representatives keep the group engaged and interactive during the events so we can keep that dialogue going and garner their interest. Many thanks for T.E.N.’s hard work and assistance during this great event. I, for one, learned a great deal from the assembled execs during the discussion at our sponsored ISE® Signature Luncheon, as well in one-one-one chats throughout the day. The event offers a unique chance to forge relationships with the leaders and decision makers at our target clients. I have both hosted and attended T.E.N. and ISE® Private Dinner events and have found them to be a key source of current threats, solutions, and how other companies are dealing with emerging trends. Of the many events available, ISE® Private Dinners are one place where I can be assured of interacting with the most senior and knowledgeable technology executives.